Hey, I’m Zak. I am from the mistake on the lake and the most cursed city in professional sports, Cleveland, Ohio. If you don’t believe me just google the fumble, the drive, the shot, red right 88, or the most recent curse to Cleveland sports the decision (I don’t even like basketball and that one just leaves a bad taste in my mouth just thinking about it). So you can probably guess that I am a Cleveland sports fan. 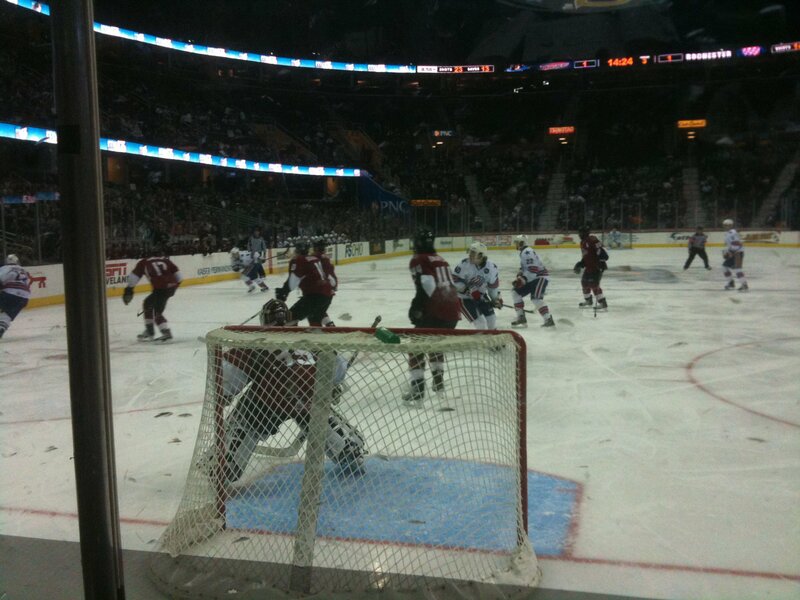 I am a die hard Lake Erie Monsters fan, my ring tone is even the Monsters’ theme song Monster by Skillet. I am also a fan of the Tribe, I have a lot of memories, but as this is a hockey site not a baseball site I will move on. If I was a fan of football and basketball, and could actually stand watching a football or basketball game, I would root for the Browns and Cavs because I am loyal to my home town. I am bisexual, but I tend to be more attracted to guys. I remember my first crush in high school being the captain of the hockey team (I should have suspected then that I was into hockey, but I was an idiot teenager and didn’t really think about it because he was straight). I am working on coming out, I am out to most of my close friends, but I believe that if you need to know I will tell you, otherwise who cares, I am still the exact same person I was just a few seconds earlier, you just have another tag you can attach to me. I have recently completed my degrees at Cleveland State, and have started looking for a full time job. I played hockey when I was about 5 or 6 years old before my family moved to Oregon and I lost interest in the game. Fast forward to January 2011 to when one of my friends tells me that she has an extra ticket for the Lake Erie Monsters game and I say sure because I had nothing better to do that night, little did I know that my life would forever change that night at the Q.
I went and I fell in love with hockey to the point where I would go out and buy a cheap pair of skates so that I could start re-teaching myself how to skate so that one day I could play again. I have since gone on to become a partial season ticket holder (check out my view at the right) with the Monsters, and can skate once again and am learning the game of hockey all over again. I hope to play in my first game in about 20 years during the winter rec league this year. A couple years back after I first started watching hockey again I figured I need to figure out which NHL team I would root for as I couldn’t get enough hockey. Being loyal to Cleveland my gut told me to follow the Avalanche our NHL affiliate, but it is nearly impossible to see an Avs game in C-town (even with NHL game center, it is hard to catch a game). So how am I to fill my need to watch as much hockey as possible, I have to pick one of the teams close enough to see a game on cable, the Pittsburgh Pengiuns or the Columbus Blue Jackets. Since I am truly not a sports masochist and believe that I should be allowed to root for at least one winning team and much to the delight of my uncles in Pittsburgh (yes, I admit I am half yinzer on my father’s side) I decided to root for the Penguins under the stipulation that I would only root for the Penguins as long as they weren’t playing the Avs, because I have to root for the hometown team. So I am an Avs fan who will also root for the Penguins as long as they are not playing the Avalanche. Go Monsters, Avs, and Pens! 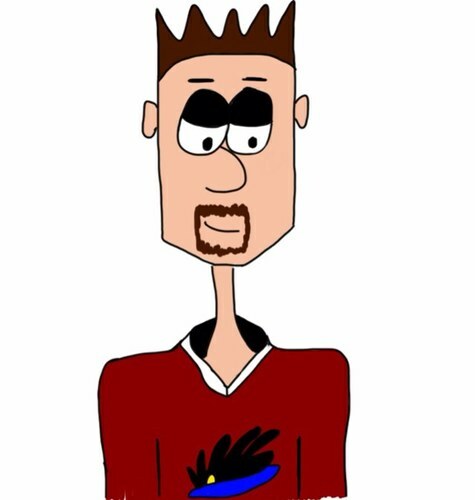 My twitter is @lemonster88 if you care to follow, but be warned, it will mostly be Lake Erie Monsters posts during the season. This entry was posted in Columbus Blue Jackets, Pittsburgh Penguins, The Minors and tagged Cleveland, Colorado Avalanche, Lake Erie Monsters, Pittsburgh Penguins. Bookmark the permalink. 2 Responses to Let’s Go Avs! Nice to have yet another Pens fan around too. For a Caps site there are an awful lot of Pens fans around here. I am here for the Avs so I’ll stick to the sidelines unless the two are actually playing.